Sure do start adding up in a hurry! 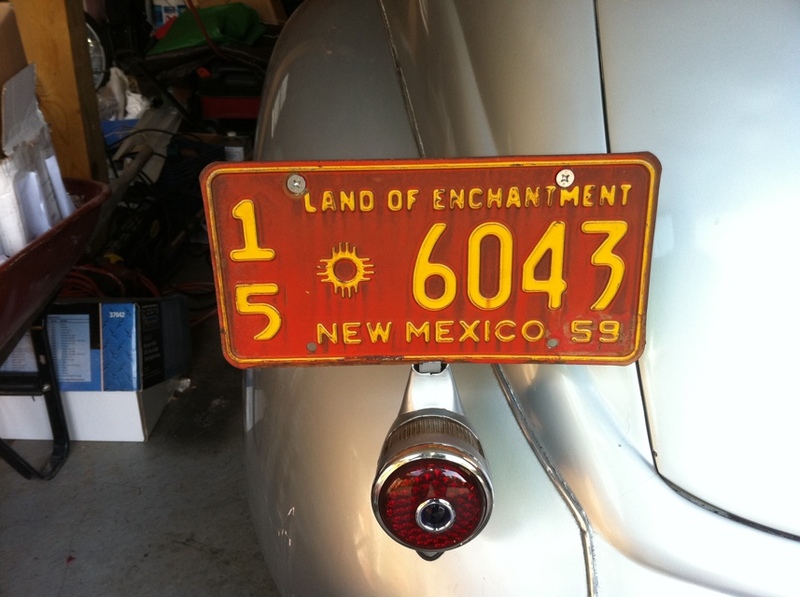 Since getting the ’37 home, I have had little things to fix here and there. Since the car hadn’t been really driven since the new engine/transmission and stuff was installed, there’s lots of little things that need tweaked, changed, etc. Since getting it home, I have changed the fuel filter twice. Probably didn’t really need it the second time, but there was so much crud in the one that was on the car when we picked it up, that I wanted to check the new one after a week’s worth of driving. Some crud, but not a whole lot. Last night, I swapped the distributor cap, trying to isolate what is causing an occasional miss. Close, but no cigar. Today, as I was driving down the highway, I heard the distinct sound of a bad exhaust manifold gasket. Can’t mistake that sound! The gaskets that were originally used were the old style small block gaskets, 3 per side, and the bolts on the driver side rear exhaust port had loosened up enough for the gasket to move and blew it out the top. $10 later, and a set of Vortec exhaust manifold gaskets…the exhaust leak is fixed and it’s no longer hissing like a snake! 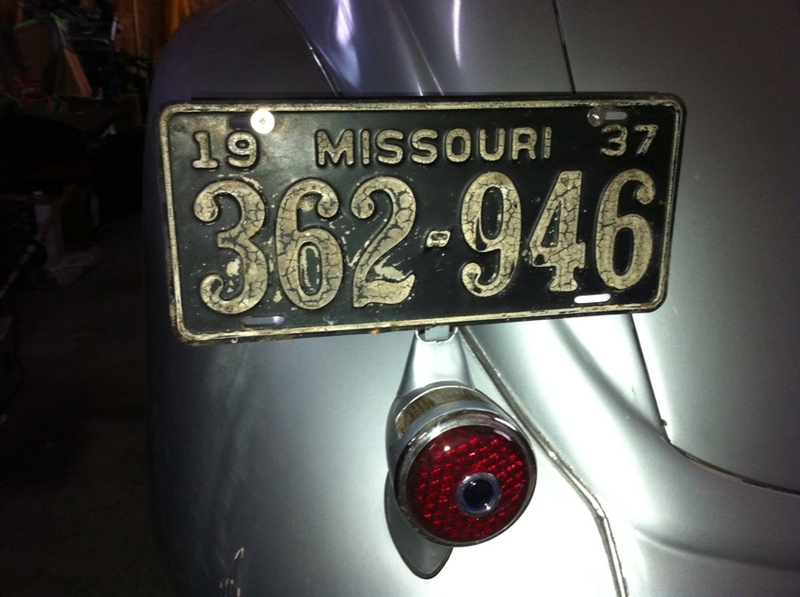 Oh…on a side note…I had worked a trade with a guy for some 1937 MO license plates. Now I gotta fill out the forms and send in my money to the Department of Revenue, and I will be legal, with Year of Manufacture plates! I had been running the streets with this one on the car.